This double or identical-being is never a blood relative. In their legend, it might not even be a flesh and blood being. It could be a spirit being. The Germans called this being a doppelganger. Doppelganger can roughly be interpreted as a ghostly double. Originally, it was said that a doppelganger was the spiritual opposite or negative of their human counterpart. Over time, doppelganger has lost the meaning of something that is evil or devilish and simply refers to someone who looks almost exactly like someone else. There is a belief that everyone has a doppelganger. I’ve met mine. When I worked at Memorial Hospital of Union County in the mid-1970s, women from the Farm were routinely transported to the hospital for medical care. With approximately 2,000 inmates, it was not unusual to have women from the Farm being transported to and from the hospital nearly every day. They were always accompanied by corrections officers. As the assistant director of respiratory care, I always worked the evening shift. One evening, while eating dinner with some co-workers, one of the nursing assistants asked me when I started working at the Farm. “What?” I asked. She told me that she had worked a few hours on the day shift and that she saw me bring in one of the girls-from-the-farm. She said she even spoke to me. “I’m sorry,” I told her. “That couldn’t have been me. This is the only place I work.” I could tell by the look on her face that she didn’t quite believe me. A few weeks later, the same thing happened. The circumstances were a little different, but again I was told by a hospital co-worker that they saw me in a guard’s uniform escorting inmates to the hospital. It was starting to get a little weird. Around that same time, our young family had the opportunity to move out of an old apartment building and buy a nice, large mobile home in a new mobile-home park. The day we were moving in and getting everything set-up, one of our new neighbors stepped outside her home and asked me what the heck I was doing. “Does he work at the Farm?” I asked her. “Yes. He does.” She said. “Well, that explains a lot,” I said. Then I told her about the times at the hospital when I was challenged about transporting women from the Farm into the hospital. She understood completely and told me that I didn’t look a little like her boyfriend… I looked exactly like him. They were planning on having a date that evening and she promised that she would bring him over and introduce him to us. I was a little nervous and a little excited about meeting my double. Later than evening, I was at the far end of our new mobile home setting up bunk beds in the boys’ room. I thought I heard a faint knock at the door. Tess yelled to me, “We have company.” I climbed out from beneath the bunk beds and started to walk down the hallway. That’s when thing really got weird. It was like walking toward a full-length mirror. At the same time, we extended our right hands to each other. Again, it was like walking toward a mirror. That was the only time we ever met. As I recall, he and his girlfriend broke up. She moved away and he must have gotten a new job. I never heard from my doppelganger after that, but I’ve often thought of him. If that handsome young man had been seen robbing a bank, I could have been arrested. If he had been seen committing murder, I could have been arrested. Without a solid alibi, I could have gone to jail for a crime that was committed by my doppelganger. That’s scary. Eyewitness testimony is not absolute proof. If I’m ever on a jury and a conviction depends only on the credibility of an eyewitness account, I will be skeptical. According to research performed by the Innocence Project, eyewitness misidentification of a suspect played a role in more than 70 percent of the convictions that were later overturned through DNA evidence. Eyewitness testimony will always be one of the important tools used by law enforcement to make a case against a criminal, but prosecutors and juries must always be careful. There will always be a few doppelgangers out there making life difficult for those who are pursuing justice. I hope my doppelganger continues to behave himself. 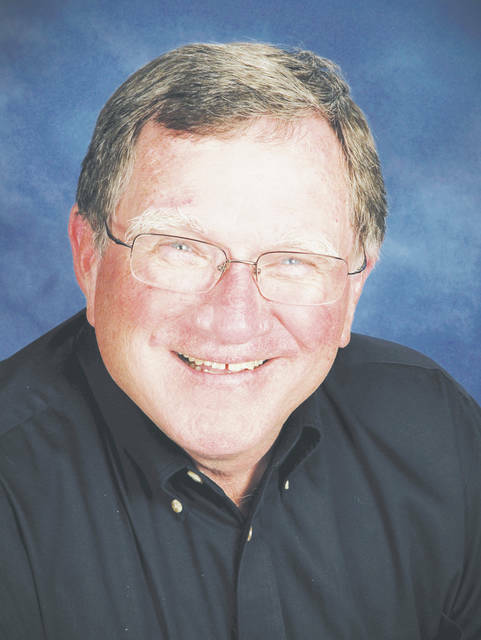 Randy Riley is Ohio public official and Aim Media Midwest guest columnist.